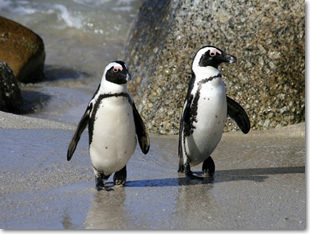 This article lays down some of the useful and interesting African penguin facts. These black-footed penguins belong to the family of spheniscidae, are widely available in the African sea-waters. The scientific name of these birds is Spheniscuc Demersus. For the reason that these birds have growling or bragging kind of sound that resembles with a donkey, they had been named as ‘Jackass’ previously. At the beginning of the 20th century, the total population was counted to 1.5 million individuals; however, at the end of the century only 10% were left. This implies that the African penguin’s population faced a decline of almost 95% which is, of course, an embarrassing especially figure for humans. These birds weigh around 2 – 5 kg (4.4 – 11 lb). The length of these birds is about 68 – 70 cm (26.7 – 27.5 in). 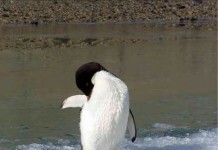 There are few black patches and spots on its chest that varies from one penguin to the other. The size of the males is greater as compared to the females. The males have larger beaks which can be easily distinguished when they’re standing side by side. The unique coloring on the whole body makes it unreceptive and camouflage against the under-water predators. Since these predators tend to confuse while looking at these birds. These are considered as endangered species. The birds are generally found within 35 km from the sea shore. African penguins are capable to move at 20 km/h in water. These species can cover a distance of 30 – 70 km in a single journey. They can dive into 120 m deep water. The average swimming speed is 6 km/h. The average breeding age of these birds is 4 years. The chicks tend to leave their parents after 6 months. The clutch size comprised of 2 eggs. These birds are mostly found in the southern and western part of Africa. There are more than 20 islands on which they exist in colonies. These islands include Namibia, Algoa Bay, and Port Elizabeth, South Africa. 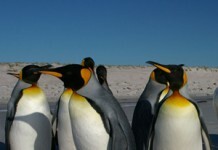 These are the only penguin species that makes its presence feel in Africa. Some of these colonies were set up by these birds in the start of 1980’s. These types of penguins are sociable and have a congenial attitude toward humans in that they let people to come up to them but not less than 3 feet. These species are too shaky to defend themselves against the predators. The primary diet of these birds is composed of pelagic fish including anchovies and pilchards. Small aquatic invertebrates include squid and crustaceans. The African penguins devour around 540 g of small prey daily. However, it can go up to 1 kg while nurturing their juveniles. Sardines, mackerel and herrings are also the primary diet of these birds. 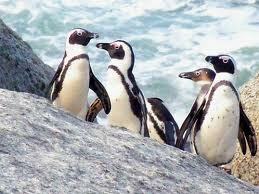 For the reason that these birds are monogamous, they tend to breed in large colonies of thousands of penguins. The breeding season lasts for three months i.e. from March to May. Both male and female contribute toward incubation (keeping warm) process. These birds incubate eggs for 40 days. 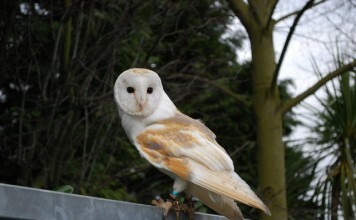 One of them looks after the chicks for 30 days and then joins (for incubation) afterwards. The fledging period of chicks depends on the environment and the extent of food resources; however, normally the time during which the chicks fledge is 60 to 130 days. When the chicks come out, they leave for sea-shore and return back to the colonies after 14 – 22 months. The average lifespan of these birds is 10 – 26 years. 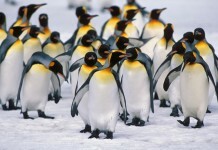 However, in captivity these penguins can survive up to 40 years.